By Outselling the iPhone, Huawei Shows It Doesn’t Need the U.S. Earlier this year, fueled in part by the U.S. government’s concerns over security and potential espionage, AT&T, Verizon, and Best Buy all backed out of deals to carry Huawei phones in their retail stores. This forced Huawei to shift its attention away from the U.S. and focus more on other markets such as Europe and Asia. Despite this situation in the U.S., Huawei sold more than 54 million devices last quarter. According to multiple analytics firms, those numbers were more than enough to propel Huawei past Apple and into the number two spot as the second-largest smartphone brand in the world by devices sold. Previously, it would have been unthinkable for a company to achieve this sort of dominance by ignoring the U.S. But with India passing the U.S. in late 2017 to become the second-largest smartphone market, Huawei’s success shows that courting American buyers isn’t really a necessity anymore. Huawei’s impressive sales come at a time when a lot of premium phone makers are struggling, including Samsung, which reported a 22 percent drop in sales for its mobile division in its most recent earnings report, revealing lackluster interest in the Galaxy S9. As for concerns over the security of Huawei devices, with the U.S. government never having actually shown proof of Huawei phones being used to spy on its owners, you’ve got to ask what could the NSA, CIA, FBI, or any other three-letter intelligence groups possibly know that their counterparts in France, Germany, and the UK don’t—all places where Huawei’s business has thrived while being essentially shut out from the U.S. 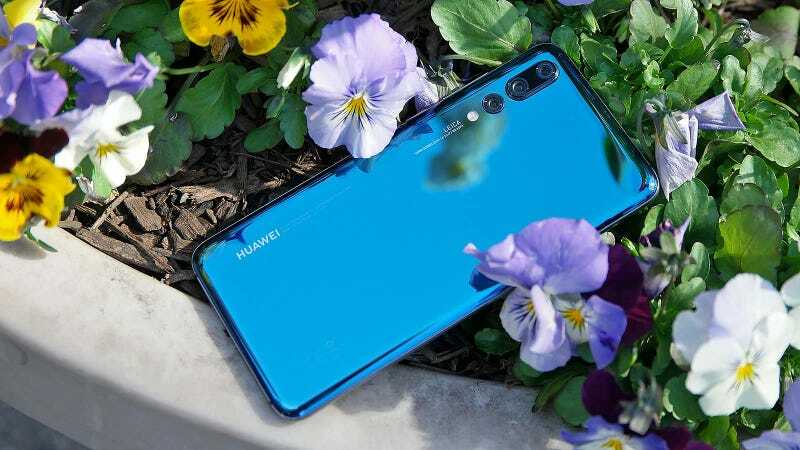 If things continue down this path, Huawei may continue to skip over the U.S. when it comes to releasing its latest high-end handsets. In a time when Samsung and Apple dominate the premium smartphone market and as handset prices continue to rise, what we need is more competition, not less. At this point, Huawei isn’t only “too cool for America”—it doesn’t really need us at all. Instead, it seems like it’s the consumers in the States who are going to suffer.